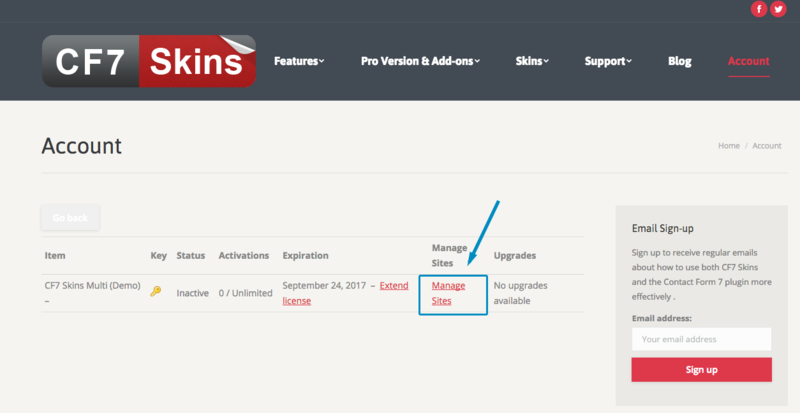 If you’re unable to update your licensed plugin, it could be because you have moved your site after installing the plugin. 1. Login to your cf7skins.com Account. You will find the list of your purchases there. 2. 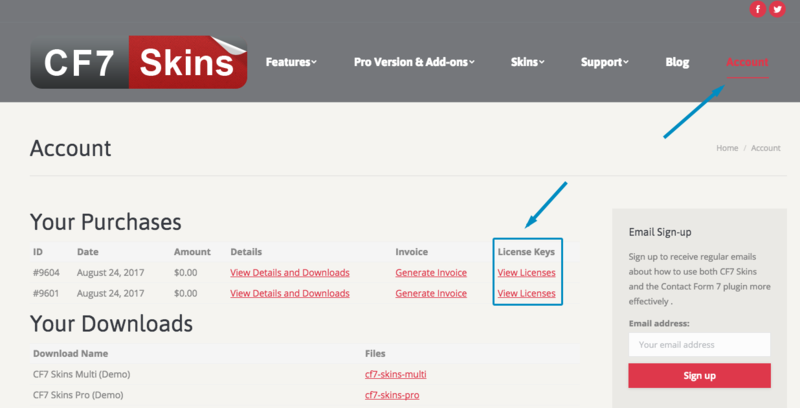 Under License Keys, click the View Licenses link for the license you are having problem with. 4. Under Site URL, look for your website. If you do not see the current site you’re using on the list, you will need to move your license to the correct site. If your site does appear on the list, the problem might be something else. Contact us at CF7 Skins Premium Email Support for further help. Sign up to receive regular emails about how to use both CF7 Skins and the Contact Form 7 plugin more effectively. If you want help with the free version you will need to use the WordPress Support Forum. If you’d like to report a bug or suggest an improvement, please complete our Feedback Form.